The reworked settings are easier to navigate and include a few useful hidden features. 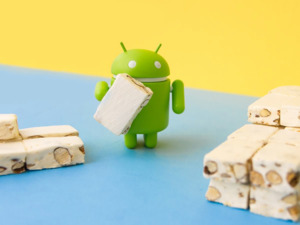 When your phone gets a major update like Android Nougat, you may not think of the Settings as the first thing to run off and check. But don’t underestimate the value in some of the changes to this essential control panel. Android’s Settings menu has undergone a few tweaks that make it much easier to navigate and find what you need. Launching the settings is a similar process to Marshmallow. Swipe down with two fingers from the top of the screen and touch the gear icon at the top right. Alternatively, you can swipe once and then touch the arrow, then the gear. With a swipe or two and a tap you’ll be into the Settings. However you get there, you’ll find a few main categories with other capabilities grouped underneath them. Often times the fastest method is to use the search bar at the top, right of the screen. Just type in what you want to find, touch the result, and you’ll be taken right there. Forget navigating the Settings menu. Just search for what you need. As the screenshots illustrate, not only does the search function find different settings, but it’ll locate Wi-Fi networks you’ve connected to in the past and specific functions within different features. A useful addition to Nougat is a slide-out menu from the left. This enables you to navigate to another piece of the settings more quickly than working your way in and out of the maze of different options. The slide-out menu is a great way to navigate through the Settings. There are four major groupings: Wireless & networks, Device, Personal, and System. It’s worth noting the System UI Tuner has been moved here. Tweak the Settings even more with the System UI Tuner. This allows you to tweak a number of different elements. To get this with Nougat, long press on the Settings gear for five seconds. You’ll then see a pop-up notification that you’ve enabled the System UI Tuner. Then, feel free to experiment away.